Kiev’s prisoner exchange negotiator has acknowledged 1,500 Ukrainian servicemen missing in action, and called on relatives of MIA soldiers, preferably through the female line, to undergo DNA analysis to help identity the bodies. 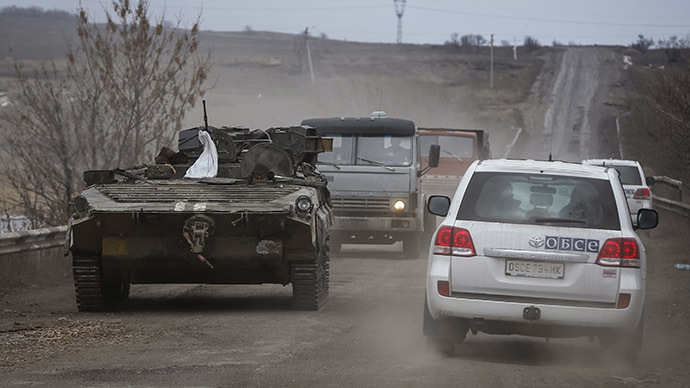 The Prisoner Exchange Assist Center, under the auspices of the Security Service of Ukraine (SBU) estimates the number of MIA soldiers in the conflict in the east at 1,500 soldiers, its chairman revealed to Ukraine’s 24 TV channel. Yury Tandit said searching for the missing servicemen is a “tough job” being done by patriots and war veterans, recommending the MIA soldiers’ relatives talk to the relevant national authorities, and be patient. “The most important is that blood relatives pass DNA analyses - that really helps. This way we find bodies and fragments. It is essential to find a person in whatever condition, dead or alive; we ought to know who is where,” Tandit said. Prisoner exchange is underway and is expected to be over by March 5, he said adding that so far Kiev authorities have released 52 POWs in exchange for 139 Ukrainian soldiers, 103 of them captured during the Debaltsevo entrapment. Morale among the Ukrainian prisoners is “bad,” Tandit noted. Tandit acknowledged that Donetsk rebels had provided wounded Ukrainian POWs with medical assistance, although they said those imprisoned by “field commanders” weren’t properly treated. 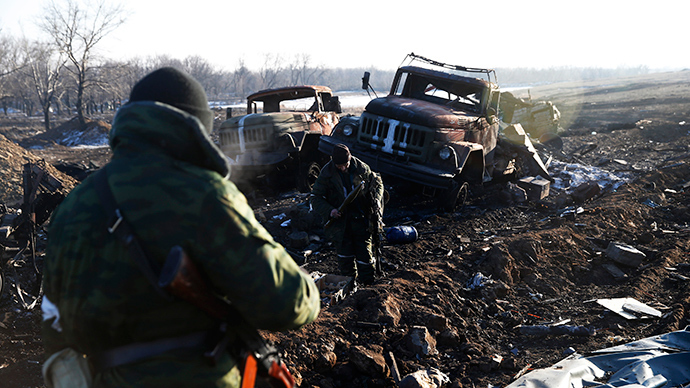 Rebel forces commented on the issue, saying dead Ukrainian soldiers scattered in Debaltsevo could not be collected because Ukrainian troops and National Guards have been coached to rig corpses with explosives, so the bodies need to be “twitched off” to avoid mine traps. And nobody wants to be tasked with that. 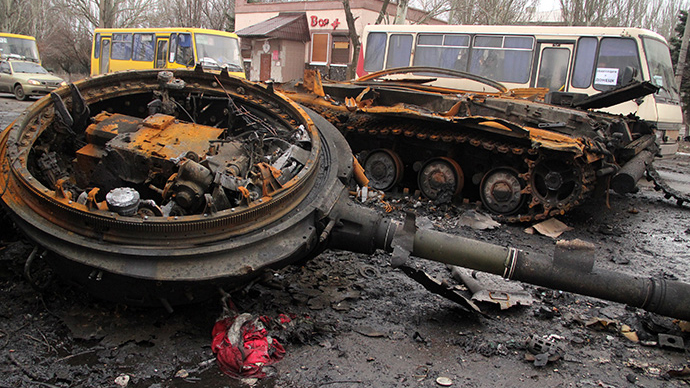 The Sunday Times reported on February 22 that the causes of at least half the Ukrainian servicemen being killed in the so-called “anti-terrorist” operation were incompetent leadership, friendly fire, the troops’ greenness, lack of discipline and the mishandling of weapons. 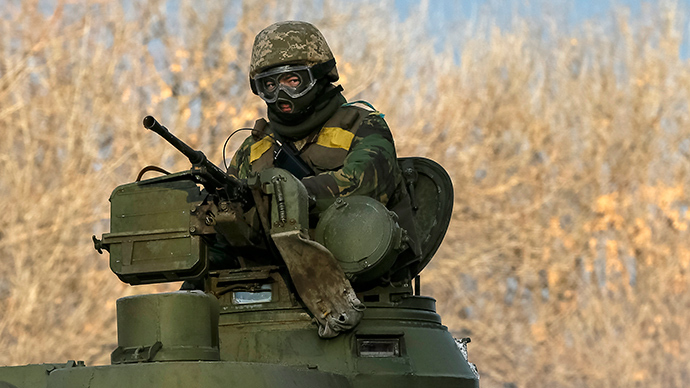 “Six out of 10 casualties among the Ukrainian volunteers occur because of blue-on-blue shooting [the army term for friendly fire] and the inability to handle weapons,” a 40-year-old, naturalized Briton of Ukrainian descent, who resigned from the British Army to train Ukrainian forces fighting rebels, told the Sunday Times. The military expert known only for his callsign ‘Saffron’, who had recently returned from Ukraine also said the command of the Ukrainian army is dreadful. There are about 30 volunteer battalions in Ukrainian forces, and each wages its own war, not notifying its actions to other units. There is no central command, no coordination and no standard radio frequencies for communicating with each other. Instead of using Motorola radio stations, soldiers use ordinary cell phones, seemingly uncaring that their communications are anything but secret. 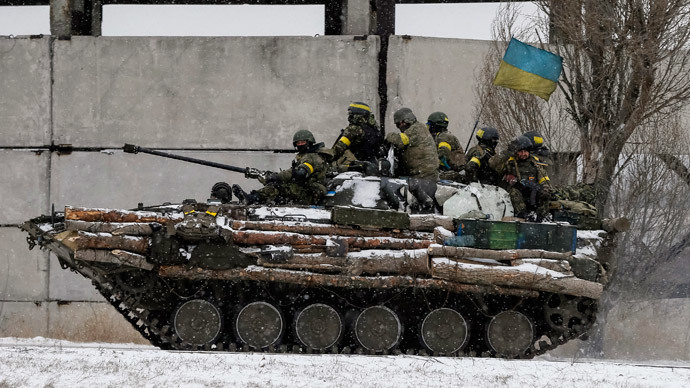 The entrapment in Debaltsevo could have been avoided, but the Ukrainian commanders were just too slow in observing and reacting to developments in the theater of action. 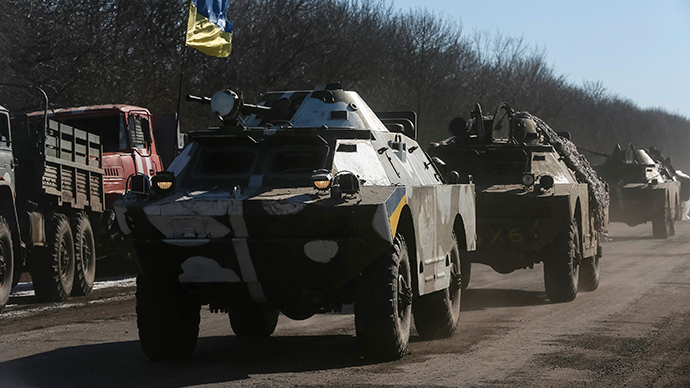 On February 22, the rebels and Ukrainian troops began to withdraw heavy military hardware from the frontline as per the ceasefire agreement with Kiev.